Oh sooooo luscious Linda - hehehe LUSCIOUS LINDA - that is SOOOO YOU!!!! Your artwork is always so luscious and yummy. Your box is completely wonderful. 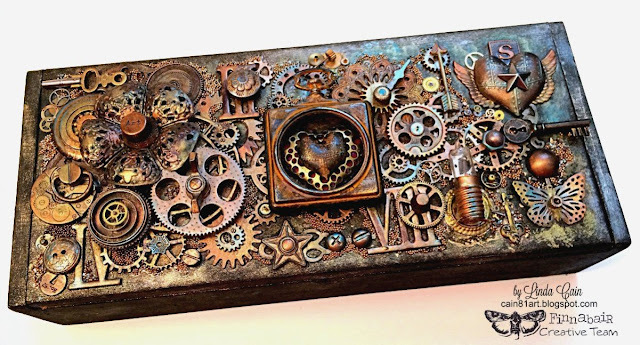 So glad that Marjie has you as her feature because hopefully new folks will see your artwork and enjoy it as much as I do!!! XXj. Thanks for the shout-out, Linda. 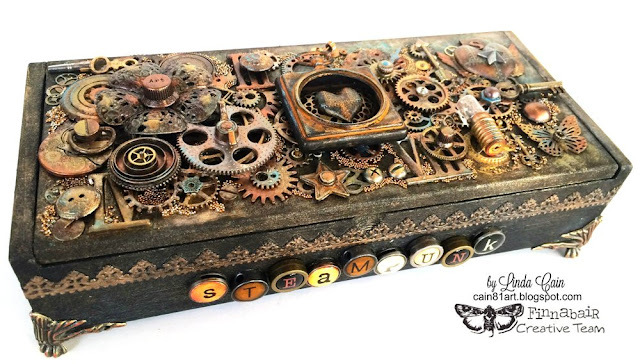 It was a pleasure to feature you and your gorgeous steampunk box!